Zoe Alleyne Washburne is the one character in the Serenity/Firefly cast of characters whose morals are not up for grabs; she’s the eye of the storm. I believe that some far past event forged Zoe into the survivor we see in the show, an event I think that occurred prior to her loss as one of the Browncoats at the Battle of Serenity Valley. The Serenity Valley loss forged her loyalty to Mal Reynolds and is very important to her character development, but this event doesn’t explain her attachment to her husband Wash despite Mal’s initial disapproval. We know little of Zoe’s life before she served under Mal as a Browncoat, but her steady determination comes from a lifetime of surviving. Her attachment to light-hearted Wash represents her attempt to live instead of just survive, and after his death Zoe reverts back to pure survival mode. No one on Serenity questions Zoe’s ability as second-in-command. Even if her husband doesn’t really enjoy answering to his wife, it’s not due to a lack of faith in her ability to do the job. 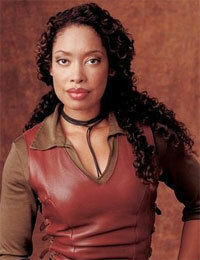 The only person Zoe takes orders from is Mal, and she readily gives orders to the rest of the Serenity crew. Even Jayne, an often violent chaotic character, takes Zoe as a serious threat. Kaylee (pointing to a pink frilly dress): Say, look at the fluffy one! Zoe: Too much foofaraw. If I’m going to wear a dress, I’d want something with some slink. Wash: You want a slinky dress? I can buy you a slinky dress. Captain, can I have money for a slinky dress? Zoe (to Jayne): I can hurt you. Clearly, Zoe is the guardian of her own sexuality. She doesn’t need her husband or her commanding officer to protect her, in fact she’s often seen protecting her husband since his skills lie in piloting, not in military combat. As you say, Wash is more light-hearted — so maybe that’s what she needs from him. He complements, rather than competes. Zoe! I love Zoe. She’s my goddess. Too bad the show got cancelled before we got to learn more about her. Although with Wash dead she probably wouldn’t have gone in any good direction.